I had to take a break from the never ending lap blanket that I've been working on and knit something fun and easy and fast on big needles. I used one skein of chunky Noro Furisode, an online impulse buy from a while back, to make a cowl based on this super simple Ravelry pattern. Update 12/13: If you are interested in purchasing Furisode, it is on sale right now at Webs for $11.95 per skein, marked down from $17.95. It was good to complete a project from start to finish in one weekend. It helped me remember how fun knitting can be when you aren't desperately trying to get a semi-big project done by Christmas day. 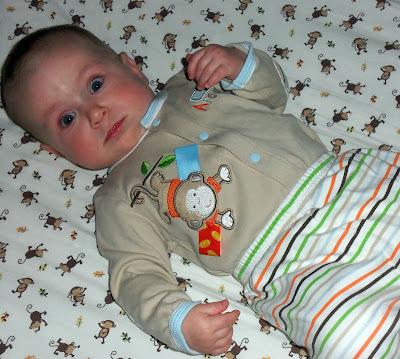 Last week I got so tired of that blanket that I started daydreaming about paying someone to finish it. That was my first time using Furisode, a blend of silk and cotton with a little wool thrown in, and it felt so wonderful in my hands that I think I will intentionally buy a few more skeins. I would love to knit a few more of those cowls and give them away as gifts. Charlie was born to be a cat model-- when asked nicely he will hold perfectly still and look at the camera. Now if I could only get him to wear my knits instead of only allowing me to drape them over him. 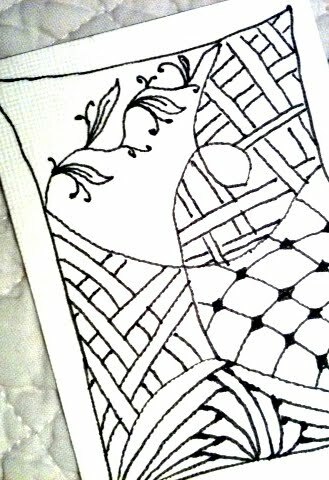 Have you heard of Zentangle? Apparently it has been around for years, but I just heard about it recently. Tonight I spent some time on YouTube watching instructional videos and then gave it a shot (above). The first few attempts were not great, but I'm inspired by some of the gorgeous patterns I've seen online and want to keep at it. Plus I love that feeling of going in to a sort of crafty trance and creating from that place. My niece Lily is six months old now. She is sitting up by herself and starting to eat a little bit of fruit and veggies. Here is the little monkey at bedtime in her crib, not sleepy at all. Oh my goodness Stacy, I am drooling over the yarn you used for your cowl! Beautiful! And it looks so nice on Charlie. I haven't heard of zentangle, but that might make a good rainy day project for this afternoon. Gorgeous cowl! 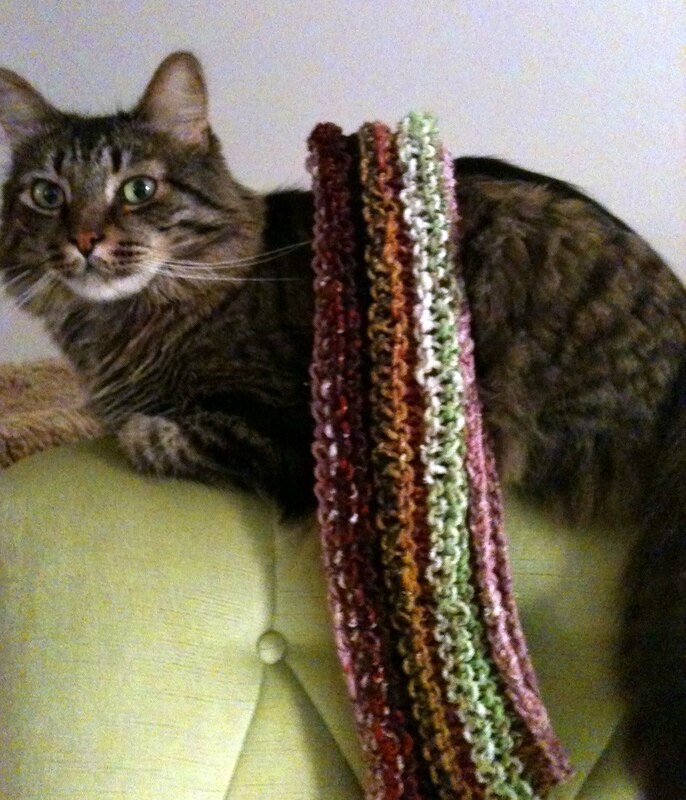 I like the yarn and perhaps this winter I can make one. It looks soft, warm, and cozy. 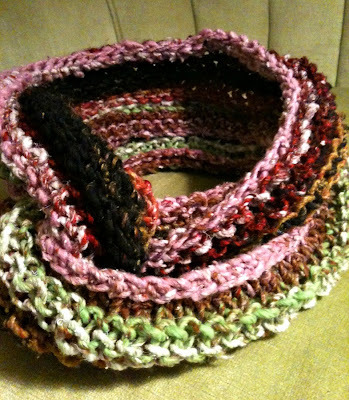 What a great chunky cowl, that yarn looks so comfy and soft! I have heard of zentangles...they are fun! Lily is just adorable...and Charlie, too...(we don't want him to get jealous). She is so sweet! 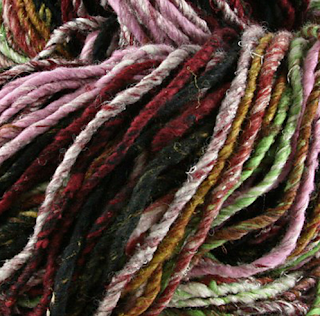 The yarn sounds lovely. I want to try more with silk. I've wanted to make Tuscany for years out of sea silk....but for now I am going to cast on for a rustic shawl using Cascade EcoWool. Can't wait to have a little time to sit and knit. Wow - I can't believe Lily is 6 months already - what a little cutie! Your cowl is beautiful. I'm glad you got a chance to step away - now back at it LOL! Good Luck! love the cowl and the colors! Hello my friend...I missed this post from 3 weeks ago. Don't know how that happened. I miss you too! What have you been up to lately? Lily is gorgeous. Love her BiG eyes. Love your cowl too. What a nice finish.